At the Skyline Chili in Blue Ash. 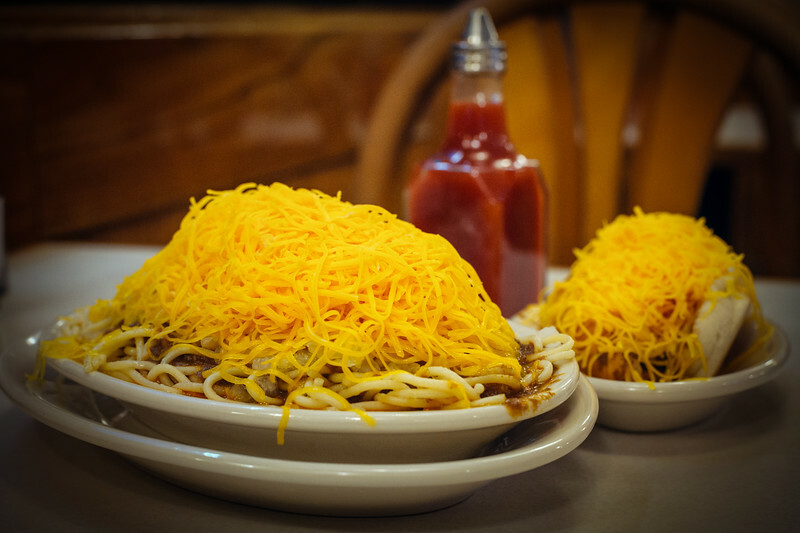 If you haven't had Cincinnati chili before, the four way is spaghetti, chili, onions and cheese. The cheese coney is a cheapo hot dog, chili, mustard and onions. Bliss on a bun. My photo galleries are here, where you can buy prints and license photos.